If you’re looking for a great gift idea for a job well done, there’s probably nothing sweeter you can give to freshly minted grads than a brand-new smartphone. Whether they plan to stay on their family plans or strike out on their own, you’ll want to give your favorite new grads a device with the right mix of features, performance — and, yes — good looks for the price. Here are our top smartphone picks for every type of grad, from those who could use a little protection from spills to music buffs and more. 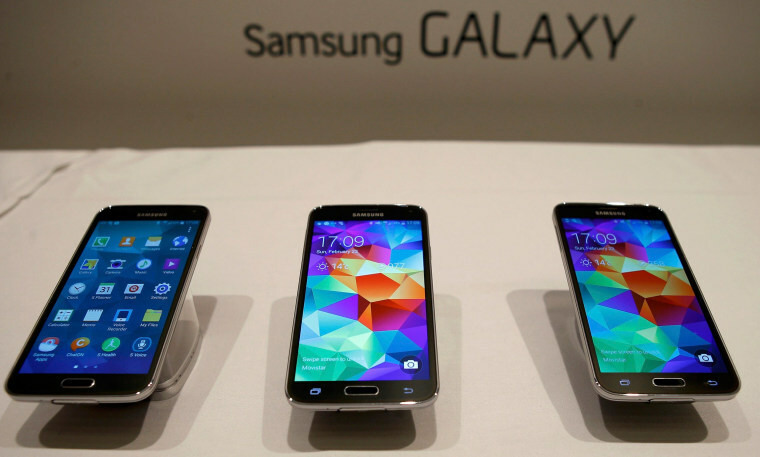 The Galaxy S5 is a smartphone for grads who want it all. Samsung's latest flagship phone delivers a big, 5.1-inch screen in a water-resistant design, so splashing or even dunking the won't ruin it. Other highlights include a 16-MP camera with fast autofocus and a built-in fingerprint sensor for security. There's even a heart rate monitor on the back, which your favorite new grads can use to track their fitness. Here's one smartphone that's the life of the party. We love the HTC One M8's gorgeous metal design and improved Ultrapixel camera, which lets you adjust the focus on your photos after you shoot. Plus, the phone's dual BoomSound speakers get surprisingly loud. Rounding out the features on this stunner are a bright, 5-inch display and a sleek BlinkFeed app for scanning the latest news from your social feed and other sites. Still the undisputed champ for apps, the iPhone 5s has the edge on Android when it comes to getting the latest games, social apps and more first. Apple's device also happens to boast one of the best cameras you'll find on a smartphone, along with a slick and easy-to use interface. Although the screen is on the small side, the iPhone 5s is comfortable to use with one hand. A seriously big and impressive phablet, the 5.7-inch Galaxy Note 3 is so powerful your grad probably won't need a separate tablet. The device offers a pretty awesome battery life, too, lasting 11 hours on our battery test. The built-in pen will help your new grad take some notes on the fly or create a quick sketch. Add in a sharp 13-MP camera with a ton of fun features, along with the ability to run two apps at once on screen, and you have a winner. Don't have a lot of cash to burn for your grad, but still want them to stay connected in style? The Moto X is a smartphone users can design themselves online using a wide array of back colors and accent hues. The handset also boasts advanced voice controls, and users can launch the 10-MP camera with just a flick of the wrist. Available for $49.99 (or less) through some carriers, the Moto X is a great value.